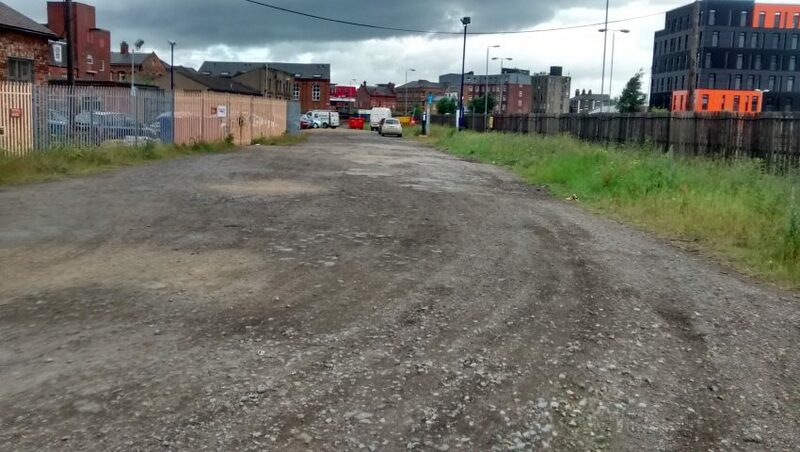 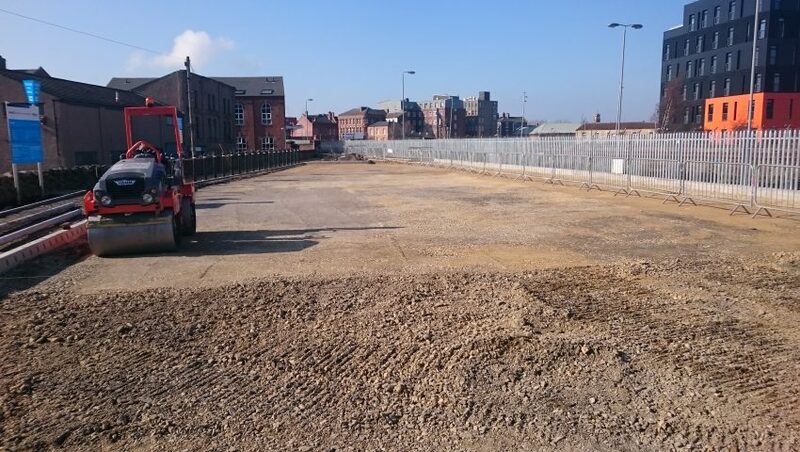 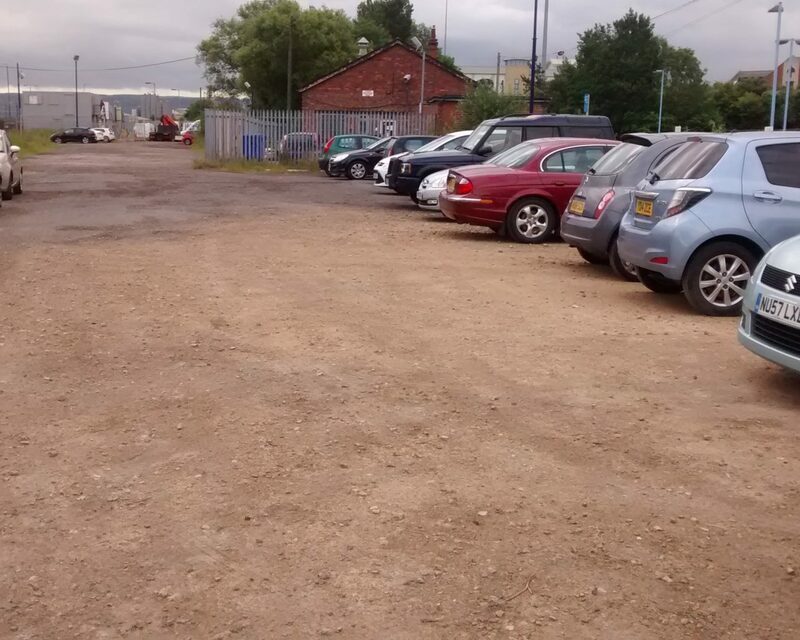 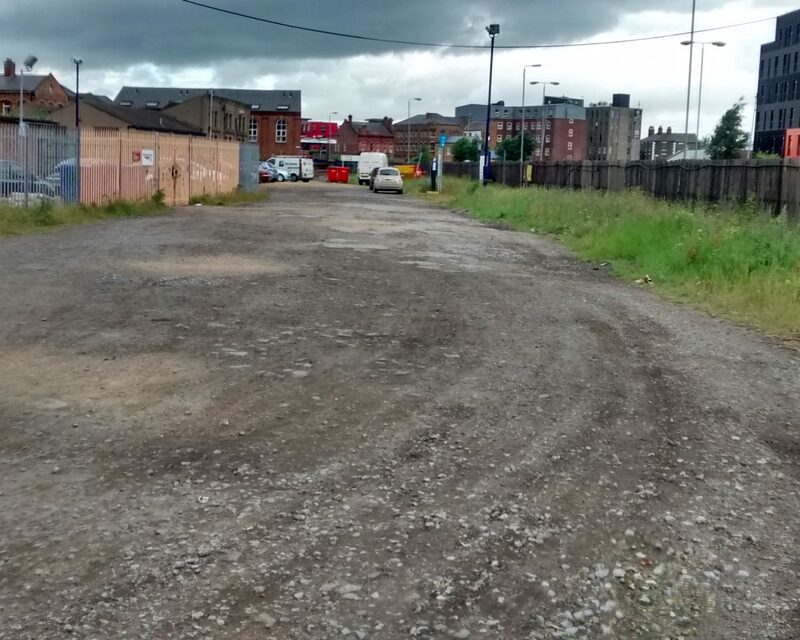 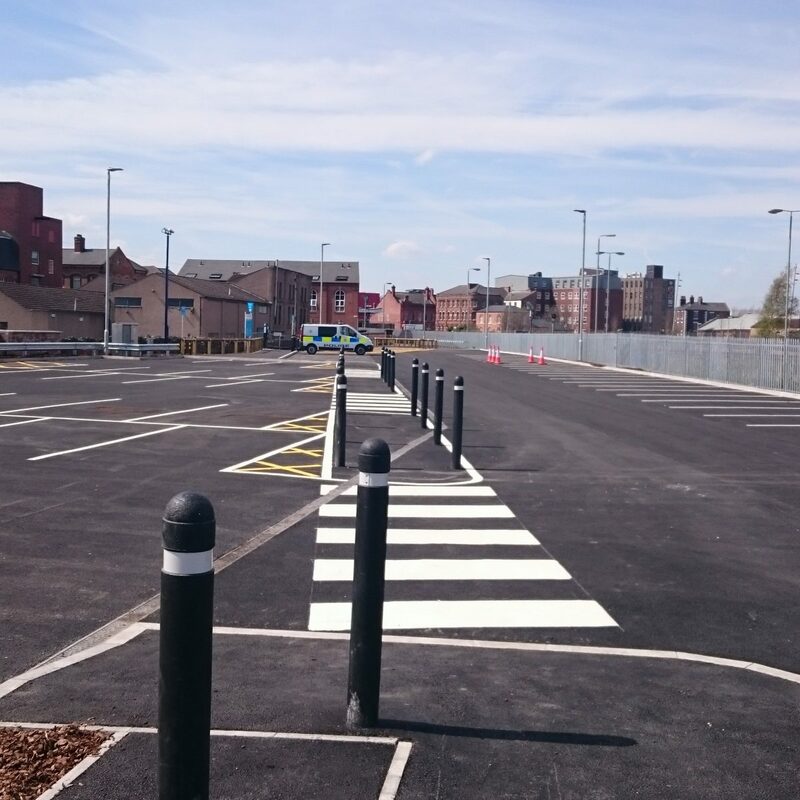 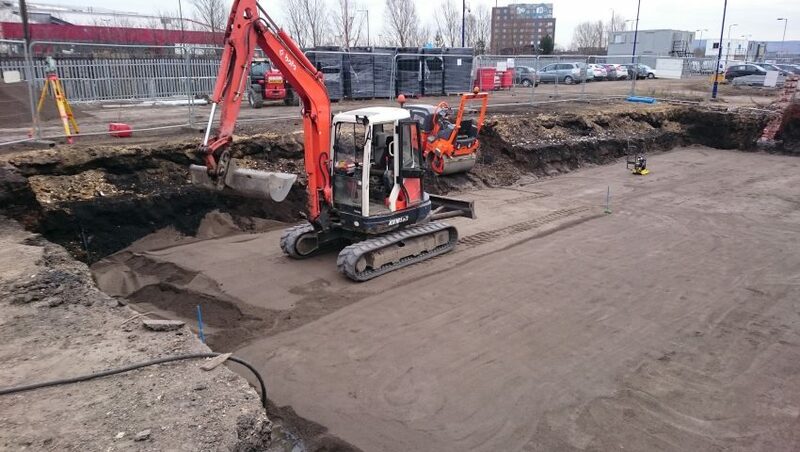 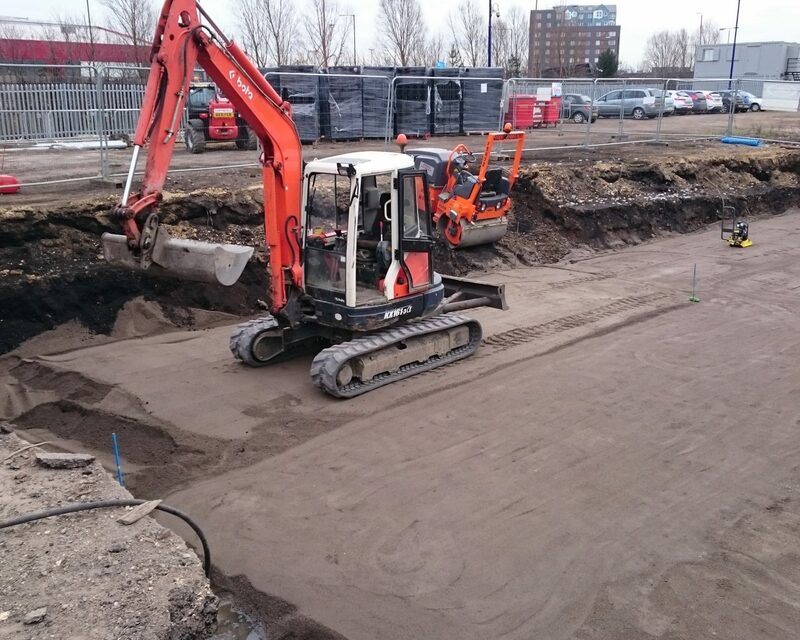 Comprising mostly compacted fill, numerous pot holes and surface breakdown, the existing car park presented an increased risk to users from tripping hazards. 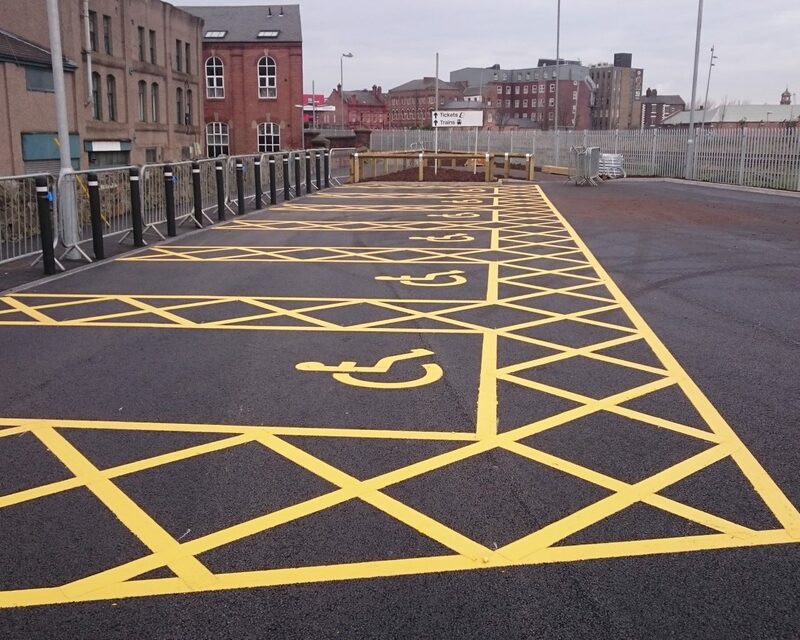 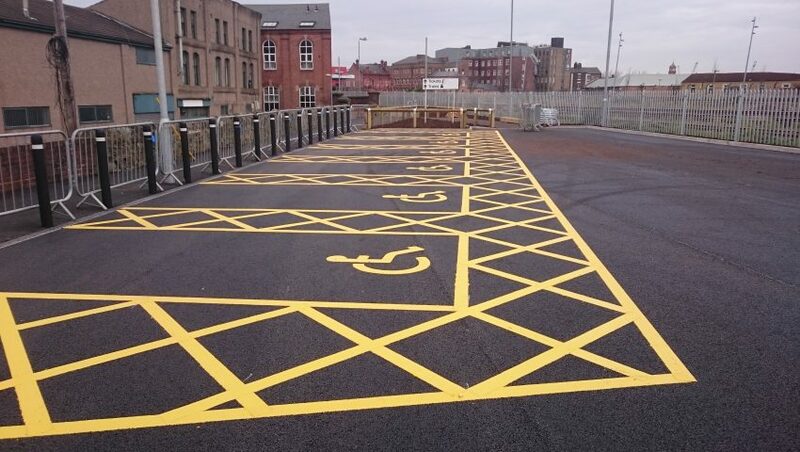 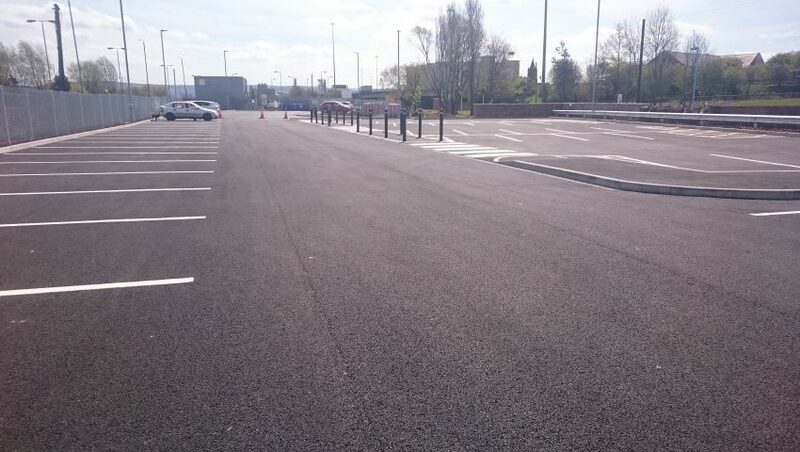 The remit was to provide a new durable carpark surface to current highways standards, including associated car park line marking and appropriate signage. 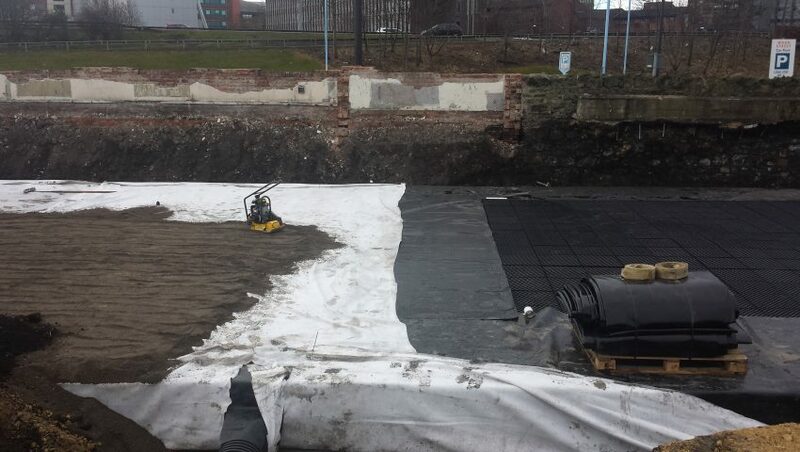 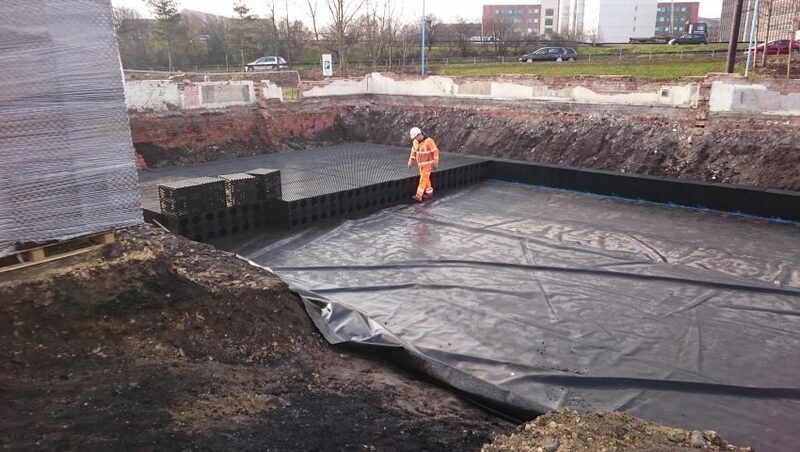 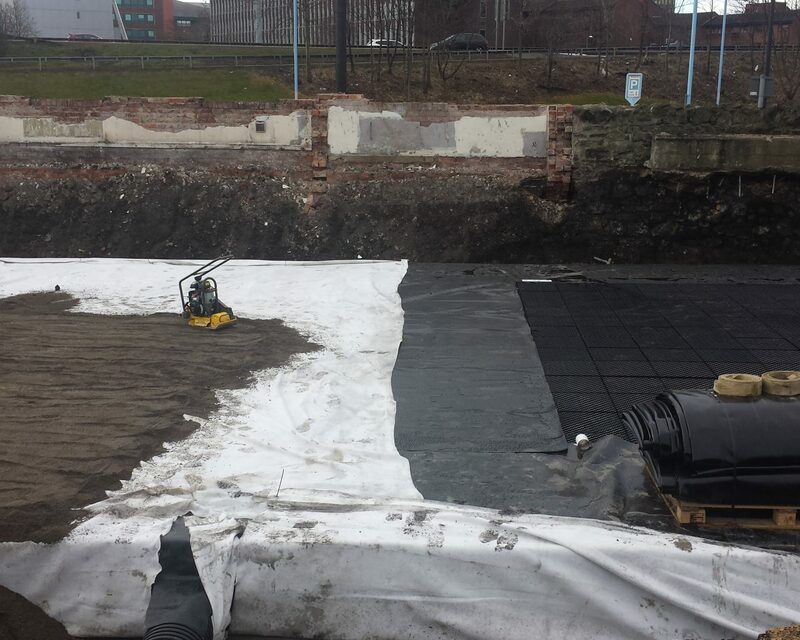 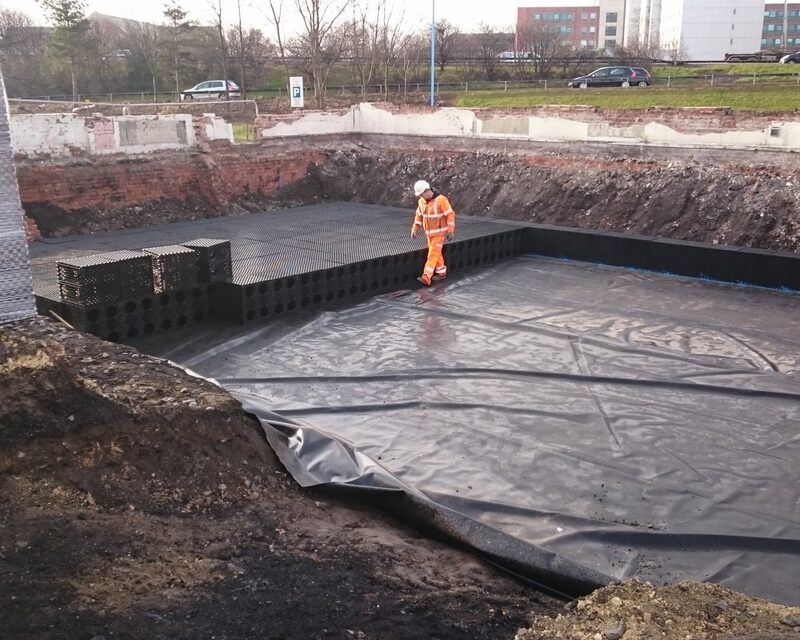 The scheme required a new sustainable drainage system, including an attenuation tank complete with oil interceptor and controlled outflow system, along with repairs to the adjacent retaining wall on Wood Street. 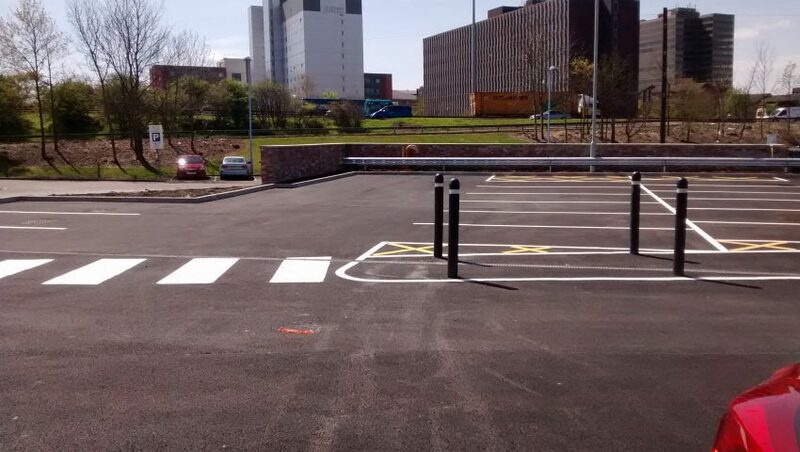 New street lighting was incorporated into the car park, along with a CCTV system and ticket machines. 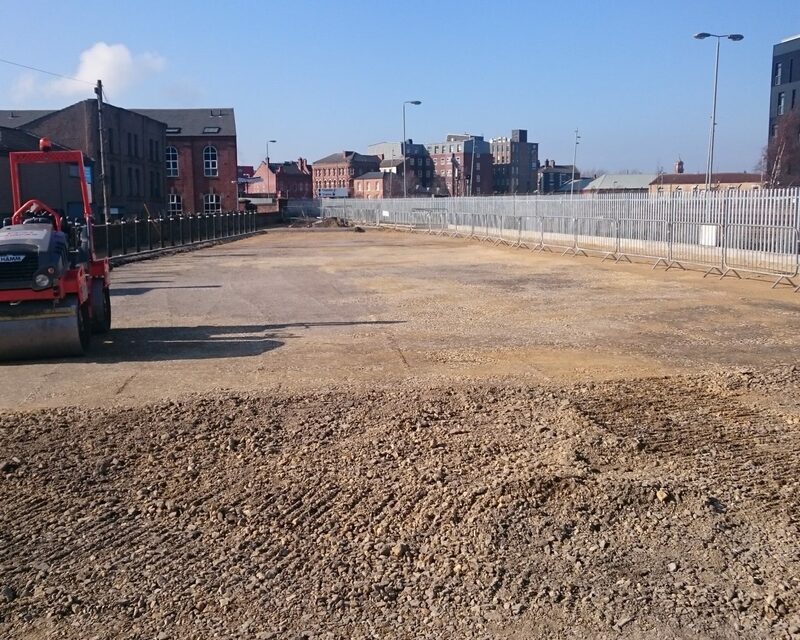 A new power supply was installed to service the new streetlighting scheme and a nearby redundant S&T building was also demolished to generate additional space for the car park. 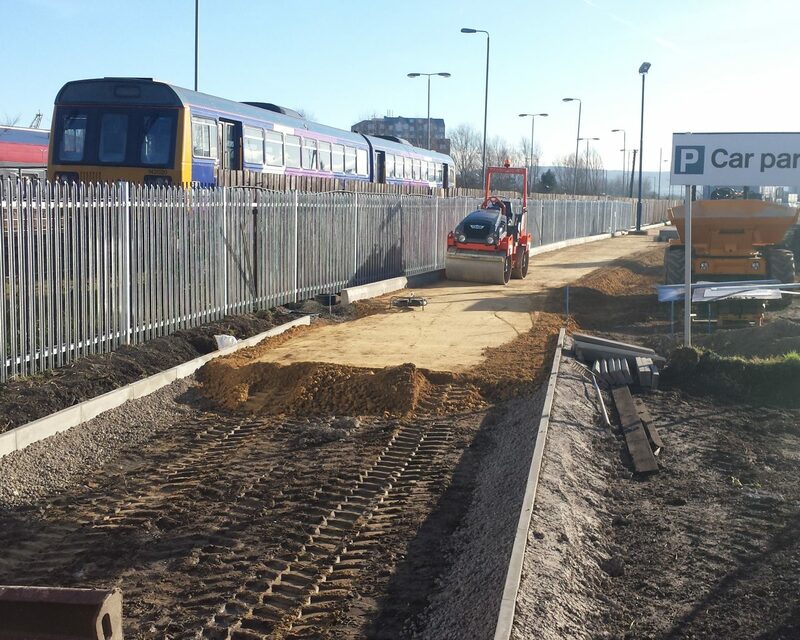 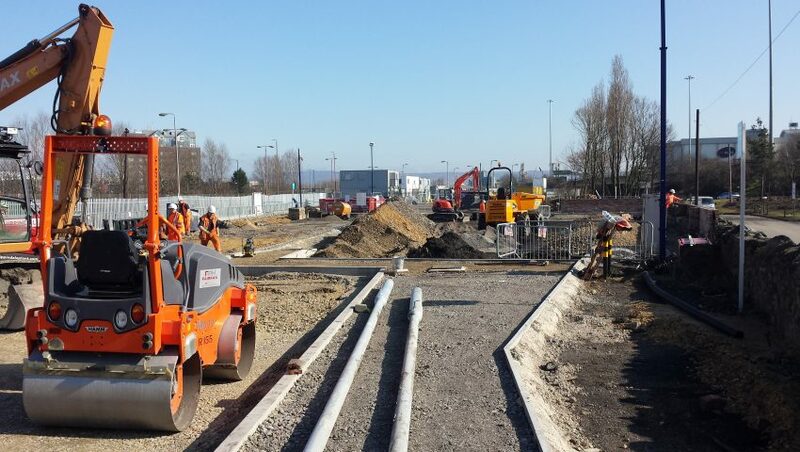 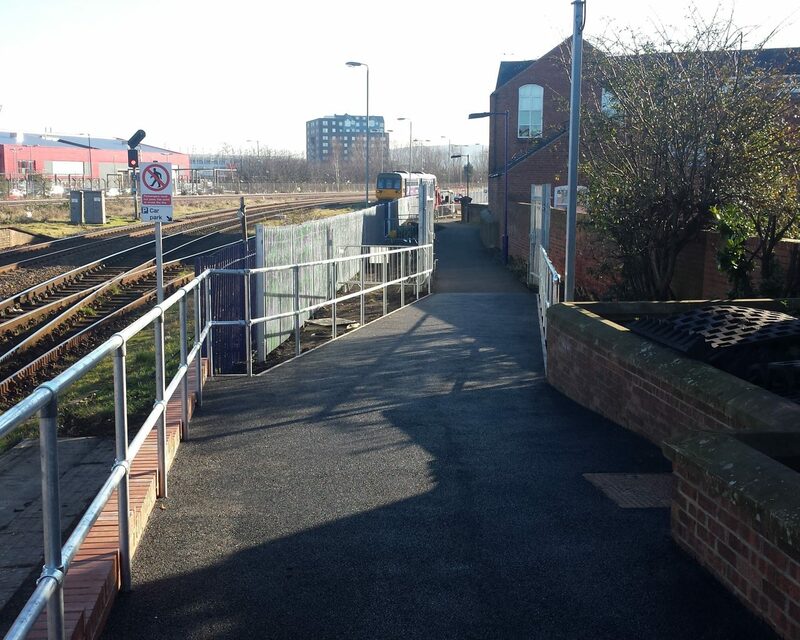 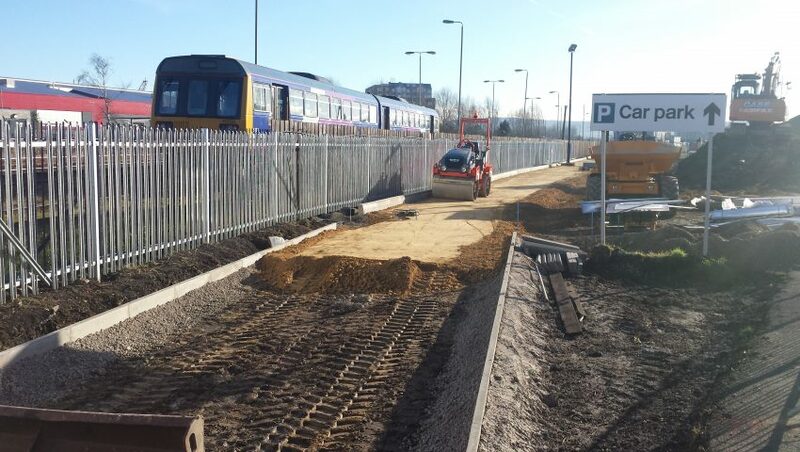 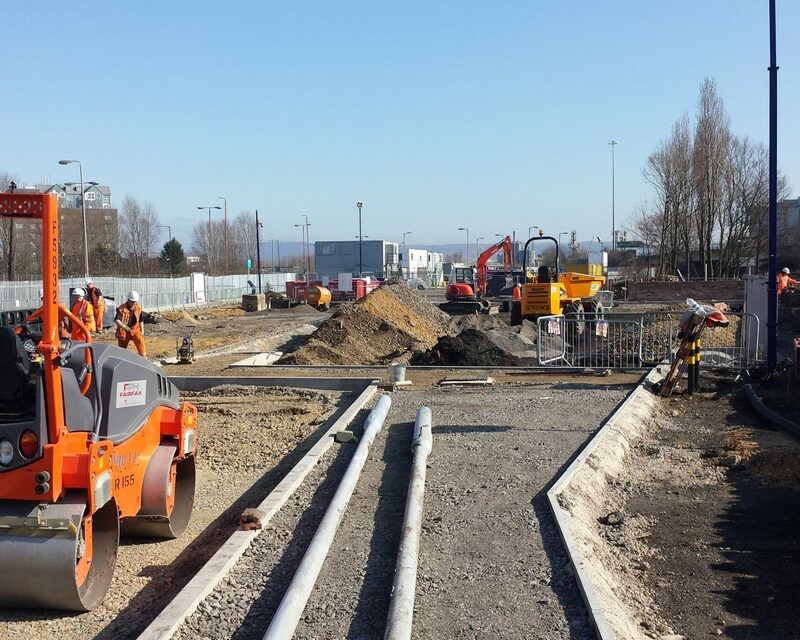 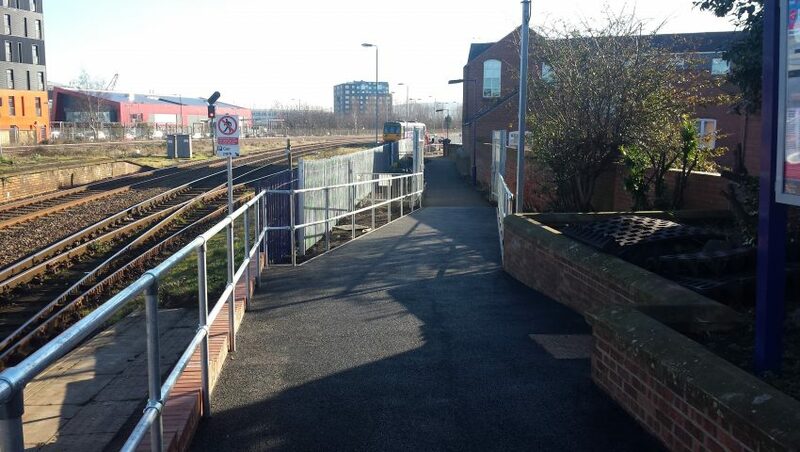 A new shallow gradient ramp linking the car park with the station platform was also constructed, supported by a retaining wall structure. 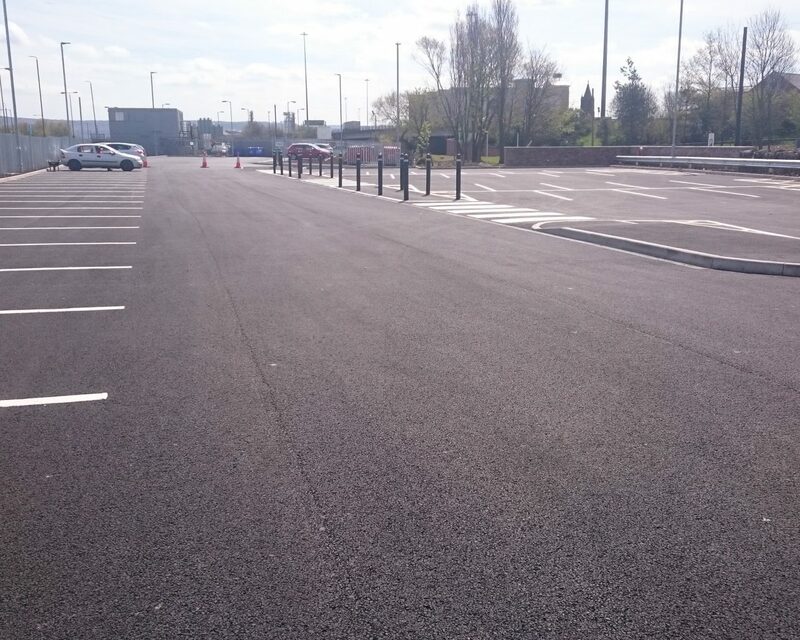 Verges were furnished with bark chippings to provide a low maintenance and aesthetically pleasing finish. 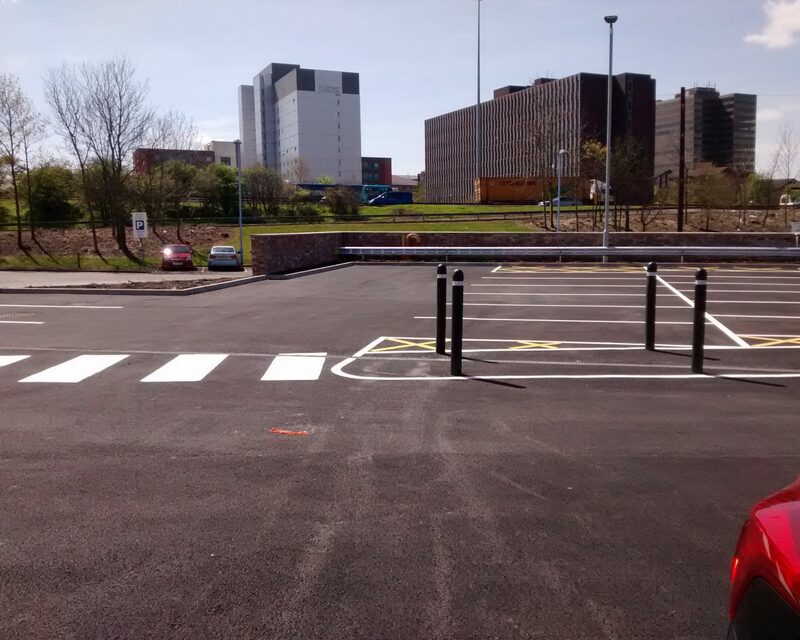 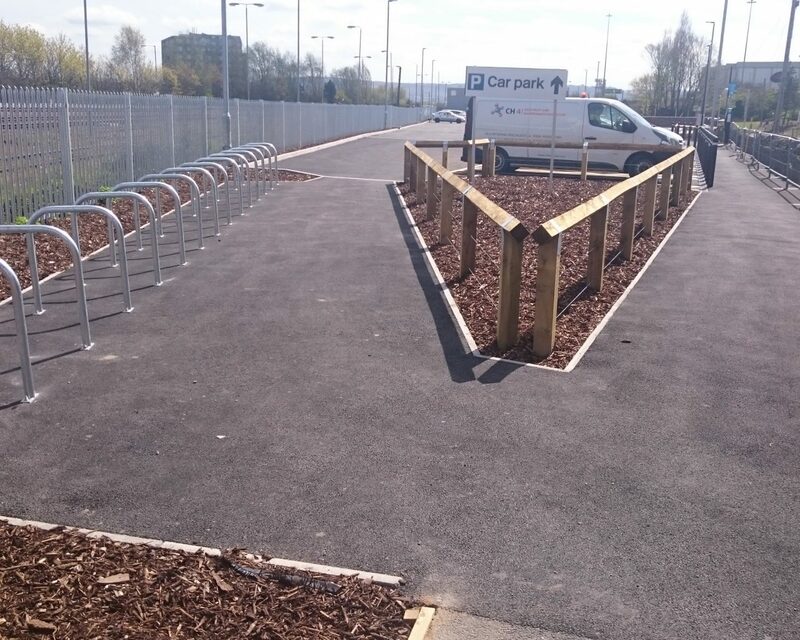 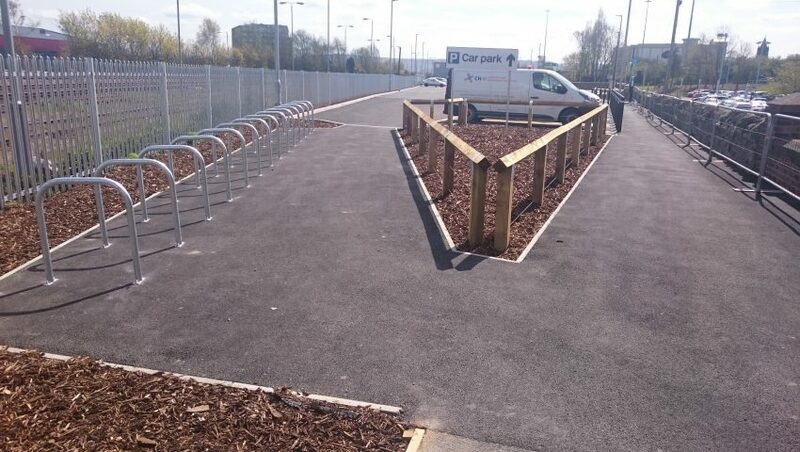 Car Park designed and constructed to meet ‘Park Mark’ accreditation requirements. 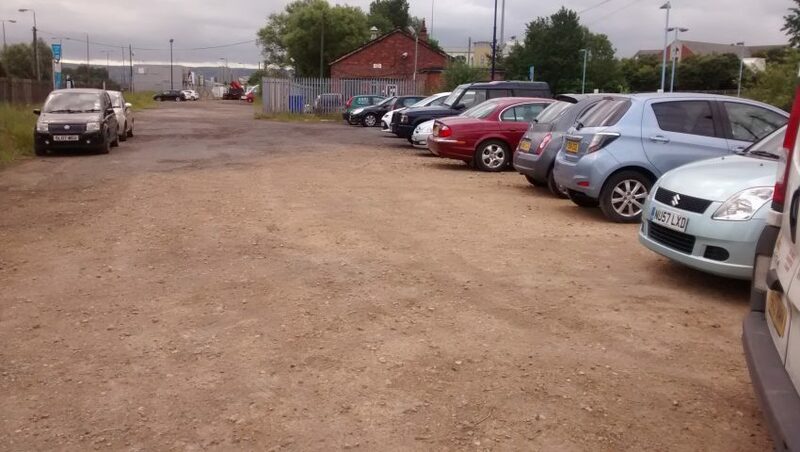 Upgrading of street lighting CCTV system to suit new layout.